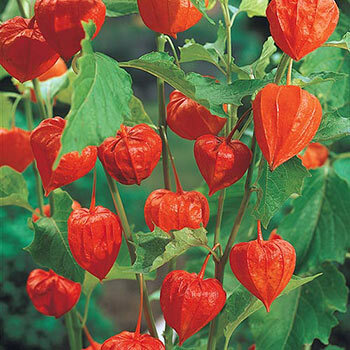 Unique variety produces fiery orange fruit resembling the tissue paper globes known as Chinese Lanterns. Hardy and easy to grow, this variety adds an attractive spot of color for borders and bouquets or dried arrangements. 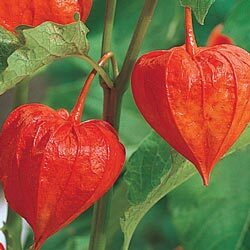 The inconsequential flowers in spring are white, but the fruit that follows is highly ornamental. As an aggressive grower, be sure to plant where it has room to spread. Planting Instructions: Dig hole large enough to accommodate the roots without bending them. 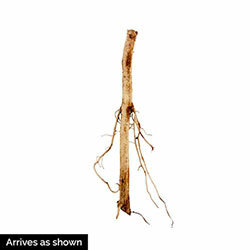 Work soil around the roots, firm well and water thoroughly. Additional Information: Vigorous spreader. Give plenty of room to grow.